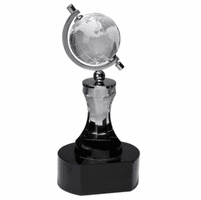 FEATURES/SPECS Made of solid crystal with polished silver finishings, this solid crystal desktop globe will add elegance and refinement to any office space. 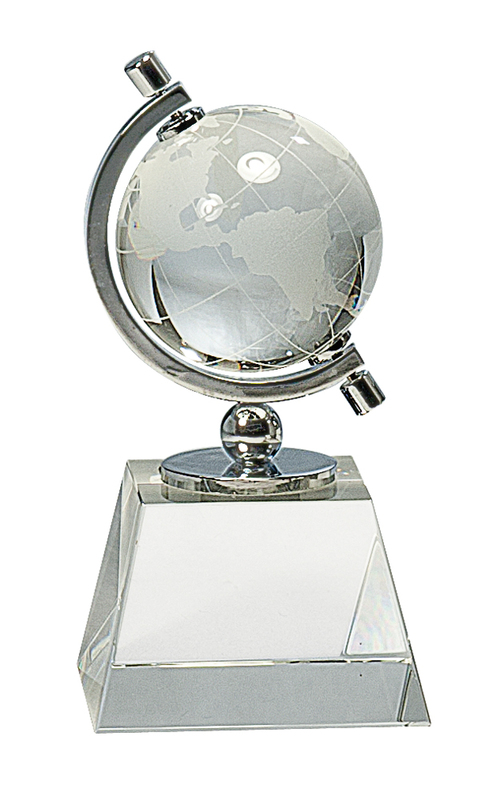 The globe is made of solid glass and comes with the continents laser etched into it in striking detail. 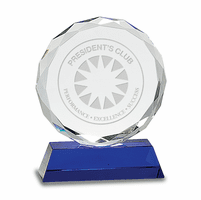 Its mounted onto the crystal base with a polished silver gyro that allows it to rotate fully. 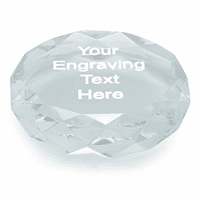 The crystal base can be laser engraved with the message of your choice along with a logo. 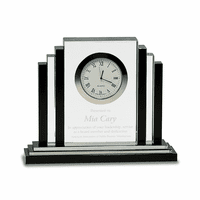 To add text engraving, check the Personalize It box above to enter and customize each line. If you'd like a logo engraved too, just check the Add Logo box to attach it in black and white. 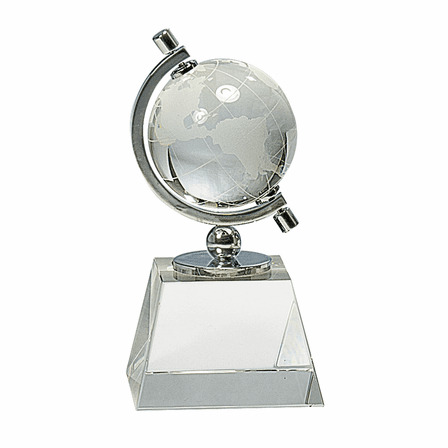 We'll email you a proof for your logo order before engraving and shipping your globe.